In RUI(NATION), a regime is toppling and the disintegrating mind of its ruler runs rampant with speculation and the myth of invincibility. Partnering with the Kitchen’s cavernous space and unique architectural features, I occupied the audience, climbed to the ceiling, crashed around under the seating and generally attempted to create an atmosphere of uncertainty as I examined the ways that can power corrupt and, ultimately, destroy those who wield it. Using multi-media presentation and a combination of aural and visual intensity and intimate hospitality, I aimed to create a character that was simultaneously repellant and appealing. 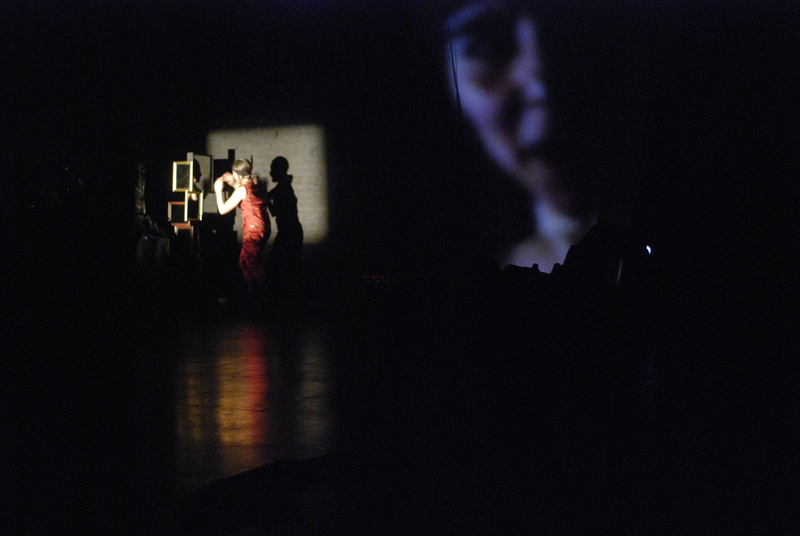 The video shows excerpts from the performance, and can be viewed from the beginning.